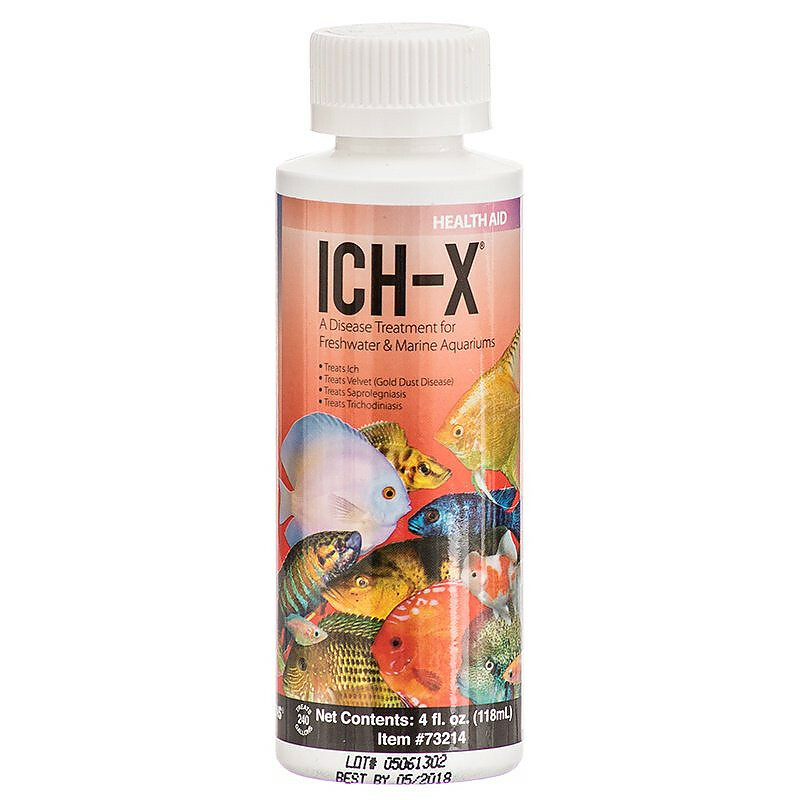 Hikari Ich-X Health Aid is a proven formulation to help eliminate the disease conditions caused by freshwater or marine ich without negatively impacting the biological activity in an aquarium. 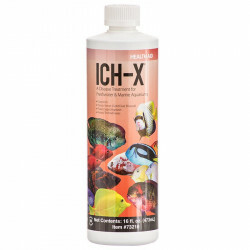 Hikari Ich-X utilizes the most widely respected formulation for the treatment of ich, with a less toxic form of malachite green than other ich treatments. Ich-X can be used to treat Ich, Velvet (Gold Dust Disease), Saprolegniasis and Trichodiniasis. 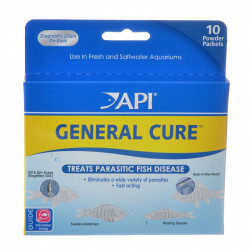 Directions for Use: To treat "ich" disease (ichthyophthiriasis) of freshwater fishes and "marine ich" disease (cryptocaryoniasis) of marine fishes, add 1 teaspoonful of Ich-X to 10 gallons of aquarium water. 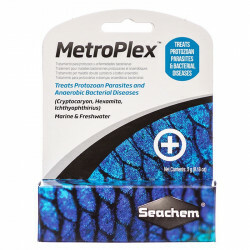 FOR BEST RESULTS: 1) Always treat in a separate quarantine/treatment tank, 2) remove activated carbon from filters and clean or replace mechanical filtrration media (do not stop filtration! ), 3) make at least a 1/3 water change before each addition of Ich-X, and 4) repeat treatments at least every 24 hours, but no more often than every 8 hours, depending upon the course of the disease. Do not overdose. Please read and follow all product directions carefully. 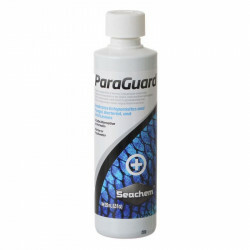 Ingredients: Water, Formaldehyde (<5%), Methanol (<2%), Malachite Green Chloride (<0.1%).